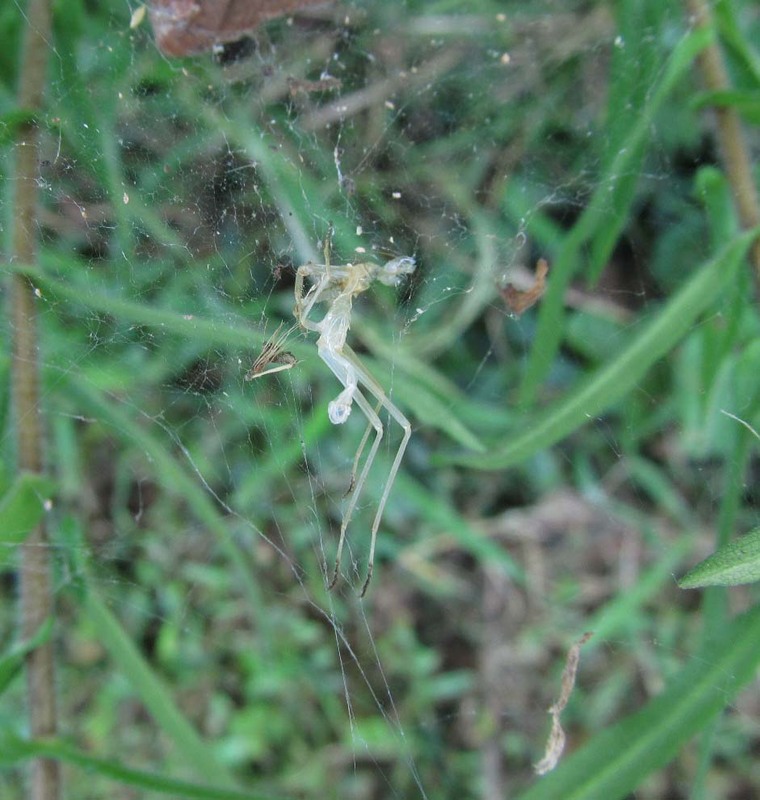 The insect apparently shed its skin after getting caught in the spider web. It almost looks like a ballerina with extra long legs. wow it really looks like a person, could it be a Fairy???? That’s the consensus so far. She stood out in the evening light. A less comforting thought; perhaps it’s all that’s left after the spider had it’s evening meal. I couldn’t find any remains anywhere around it. That is really strange. I love finding things like it though. It was an exciting find! I wish I knew what kind of insect it was.